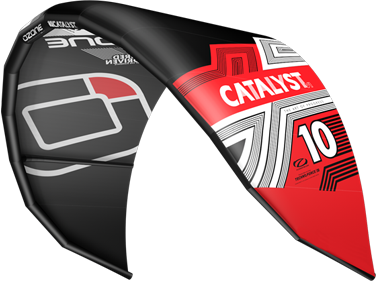 When it comes to all-round performance the new Ozone Catalyst delivers in every category. Designing a kite as versatile as the Catalyst is no easy task; it has taken the design team over a year of testing and fine tuning to bring you a kite that feels and performs equally well in all the sizes and aspects of the sport. The all-new Catalyst is a complete redesign but in the process we have retained the essence of the previous model that made it a favourite across the world. 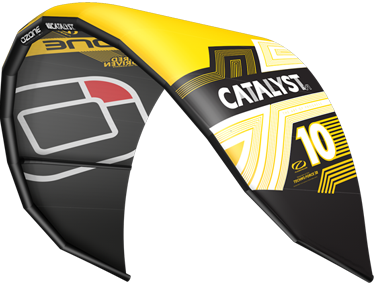 For Freeriders the all-new Catalyst is a kite that continues to please no matter what you choose to be doing on the day. The smooth power delivery and refined handling allows you to relax and enjoy the ride. All you have to do to feel the “spice” of the Catalyst, is send it to enjoy the pop and hang time on offer. The Catalyst is an amazing Freestyle starting block with its open C shape and square tip design, offering a subtle C feel without being as aggressive as the C4. 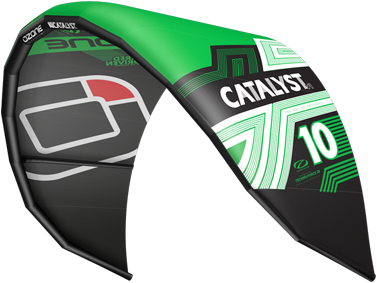 From your first unhooked moves through to handle passes and kite loops, the Catalyst delivers confidence-inspiring performance allowing you to push your limits. In the waves the Catalyst is a predictable performer. The refined handling, de-power and float offer time to ride the wave rather than having to continuously fly the kite. It is has a higher aspect ratio than the Reo so it is not as dedicated to wave riding but still delivers awesome wave riding performance. 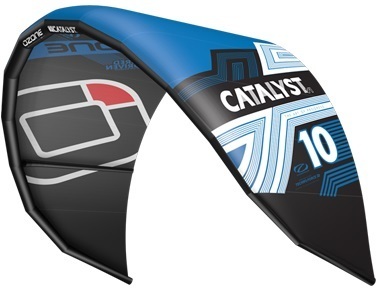 As an entry level kite the new Catalyst is the perfect choice. It is easy to ride and fly and can take you from being new to kiting all the way to advanced riding if you want. The easy flight characteristics, simple re-launch and progressive de-power means you can progress quickly and safely. If like me you want a kite that can really “do it all” to a high level, then look no further. The Catalyst’s pulley-less, three strut design, open C shape, refined handling and bar pressure offers endless performance and satisfaction to a very wide variety of riders.